Bourton-on-the-Water is a large and very pretty village in the Cotswolds of Gloucestershire, attracting many visitors and day trippers, and known as the Venice of the Cotswolds because of the bridge-spanned River Windrush that runs through the centre. There are plenty of attractions here for all the family including the Birdland Park and Gardens, Dragonfly Maze, the Modal Railway, the Model village, the Cotswolds Motoring Museum, the Cotswold Carp Farm and walks along the River Windrush. There are plenty of benches and grassy banks along both sides of the river to sit, relax and watch the world go by. The farmers market is held every fourth Sunday of each month. The River Windrush flows for 40 miles from the Cotswold Hills and into Oxfordshire and it meets the Thames at Newbridge. The Slaughters are the small twin villages of Upper and Lower Slaughter, Slaughter meaning nothing to with killing but simply “Muddy place”. Since 1906 the two villages have remained unchanged and straddle the banks of the River Eye or which is also known as Slaughter Brook. The only attraction here is the restored 19th century flour mill in Lower Slaughter which went into decline in 1958. The mill has a working waterwheel and was once part of Lower Slaughter Manor built in 1658, the Manor is now a country house hotel, and at the side of the mill there is a tearoom and ice cream parlour for your indulgence. Naunton is a long village in the Windrush valley and houses the Blackhorse Inn and a 17th century dovecote overlooking the stream. The dovecote is open for visitors but do enter at your own risk! The Mousetrap Inn is a small traditional English Inn. This family run B&B inn with clean, comfortable rooms and with a very good breakfast, the price is very reasonable. The inn is open daily. Seasonal meals from salads to hearty stews are on the menu except on Sundays and Monday evenings. We leave our car at the Mousetrap Inn where we are staying and walk to the far end of the village towards the Carp Farm and Birdland then make our way back by the Windrush taking in the attractions and the beauty of Bourton-on-the-Water with all its little bridges. We start our walk from the centre near the war memorial and head for the church. We walk up the path on the right which goes to the left of the church. We head straight on along the Wardens Way, passing the school, to the road. Here we turn left now on the Heart of England Way to the main A429 road. At the road and traffic lights we turn right and then take the footpath on the left through the fields towards Lower Slaughter. We come to a road at Lower Slaughter and turn left and follow the road round to the left and then take the footpath on the right next to the mill and waterwheel. We then pass the tearoom, ice cream parlour, craft shop and museum and then take the footpath on the left with the water race on our left and head forward through the fields to Upper Slaughter. Crossing a small footbridge we come to the road here we turn left and follow the road round the bend and at the island and junction we turn right towards the church and then take the track on the left next to the church. We follow the track until we come to a road, the B4068, we then turn left for a short way until we see two footpaths on the right we take the one on the left on the Wardens Way. We follow the footpath forward and then left until we come to another road. Here you can turn right onto the road and take the first left or cross the road and take the footpath, right then left, on the inside of the hedge and fence. If walking on the road take the track on the left. If walking on the footpath it comes out on the track, turn left. We follow the track until we come to a road at Naunton. We turn left then at the t-junction we turn right (the Blackhorse Inn is left) and then take the footpath on the left signposted historic dovecote. We follow the road type track and take a look at the dovecote before going over the bridge and head straight forward up a steep hill between the hedges. We then turn left onto the track and keep walking uphill to a road. We cross the road and take the footpath opposite and after passing the golf course we head downhill to the stream and a footbridge. After crossing the footbridge we turn left through the gate and walk through the fields until we come to a small road and take the footpath opposite signposted the Windrush Way. We now pick up the River Windrush on our left and follow the path over the field and the site of the medieval village then after approx ½ mile we go uphill turn right then downhill into a wood. We walk through the wood and just before we come into an open space we see and hear the Heron nests with chicks. We carry on following the path going through Aston Farm until we come to a road here we turn left. We pass the mill and go over the footbridge then turn right and then right again and follow the Windrush Way with the River Windrush on our right until we reach the A249. We turn right and immediately left and head towards Bourton centre, but after a short way we decide to take a footpath on the left round the back of the houses now with the stream on our left until we come to the road we turn left past the Motor Museum and then right back to our B&B at the Mousetrap Inn. This is a moderate walk with some steady inclines and declines. 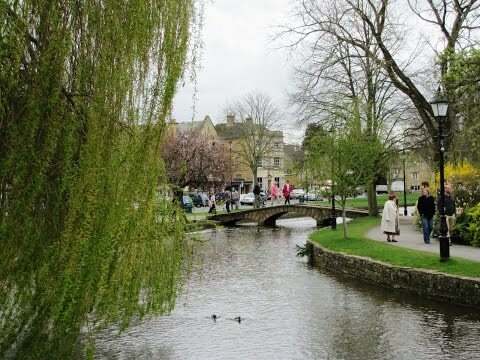 Bourton-on-the-Water is situated just off the A429 between Stratford-upon-Avon and Cirencester. In Bourton-on-the-Water there are two sets of public toilets with disabled and baby change facilities at the Church Rooms and at Rissington Road car park. For refreshments there are plenty of pubs, cafes, tea rooms and shops in Bourton-on-the-Water and there is the Blackhorse Inn at Naunton. In Lower Slaughter there is the Washbourne Court Hotel and in Upper Slaughter the Lords of the Manor Hotel. easiest factor to consider of. I say to you, I certainly get annoyed at the same time as folks consider worries that they plainly don’t realize about. You controlled to hit the nail upon the highest as smartly as defined out the entire thing without having side-effects , folks can take a signal.